Award-winning local artist and arts educator Joyce Gaffin featured at an Informal Gallery Talk at the Pacific Maritime Heritage Center, Friday, August 19. Oregon Coast watercolor artist Joyce Gaffin will lead an interactive stroll through “Joyce Gaffin: A Maritime Retrospective,” an exhibit of her work currently on exhibit at the Maritime Center’s Galley Gallery, 5:30-7 p.m. on Friday, August 19. Admission is free for members and $5 for non-members. People will be encouraged to ask questions and make comments as they tour through the gallery discussing the inception and creation of the exhibited paintings. The decades-spanning retrospective of maritime watercolor paintings includes private collection pieces loaned by individuals and businesses, as well as artwork loaned by the City of Newport, brought together for the first time for this exhibit, which closes in less than a month, September 4th. A painting of the gillnetter, F/V Cindy Marie, never publicly exhibited before, will be on view for this evening event only. 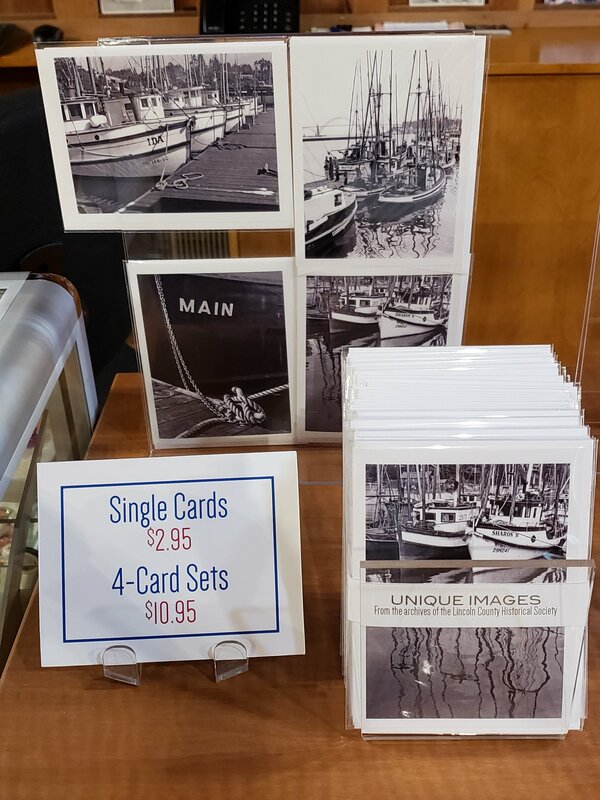 Drawn by the lore, strength, and bravery of the commercial fishing industry, and the individuality of the wooden and steel boats and their equipment, Joyce Gaffin settled in Newport, Oregon, in 1973. She then began a career as a professional watercolorist on the docks painting commissioned works of commercial fishing boats in Newport and up and down the Pacific Coast. After a sojourn in Eastern Oregon where she worked on her emerging style of painting and began exhibiting in galleries and juried competitions, Gaffin returned to Newport. Her work has earned numerous awards including first place at the All Oregon Art Annual, the Sunriver Juried Arts Competition, the Pendleton Arts Festival, the Newport Visual Arts Center, and for several exhibitions of the Watercolor Society of Oregon. In 1991, Joyce Gaffin became the first woman in the Northwest to receive an internationally awarded grant from the Pollock-Krasner Foundation of New York City. She has also been awarded grants from the American Association of University Women, the Gottlieb Foundation, and the Artist’s Fellowship of New York City. Gaffin taught watercolor workshops sponsored by the Oregon Coast Council for the Arts in Newport until 1995, and private pleine aire classes for the following ten years. She also taught classes for children and adults through the Hatfield Marine Science Center. As a substitute teacher for the Lincoln County School District, Gaffin taught painting, drawing, design, and perspective in the local schools for twenty years. Gaffin was born in Cleveland, Ohio, and studied design and pleine aire watercolor painting at the Cleveland Institute of Art while in high school. She studied Graphic Arts at the University of Cincinnati, and received a Bachelor of Science in Visual Design from the Institute of Design at Illinois Institute of Technology in Chicago. Her early training launched a successful professional career in graphic design and as an art director in both Chicago and Detroit.